Bush tea has been my favourite tea every since I can recollect. I will always remember as a child, the consumption of lime leaf tea, lemon grass tea, peppermint tea as well as sage tea. 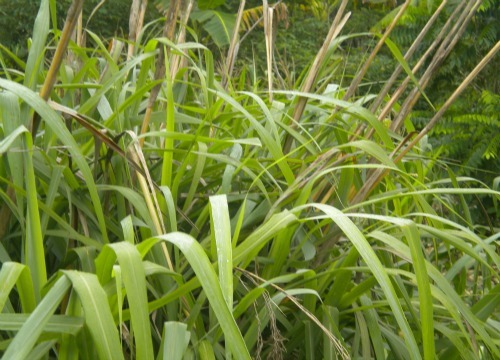 Lemon grass, also referred to as fever grass was my ideal tea, not to mention peppermint. Some people might be wondering and asking, what exactly is this tea? However, it is simply a Jamaican term, referring to herbal tea made from medicinal herb which we referred to as bush. This habit of using bush (herb) to make tea was very prevalent before we could access herbal tea bags, especially among the poor. Almost everyone, especially in the rural areas as well as homes that had grandmothers and grandfathers, utilized it to its fullest. The greatest advantage concerning Jamaican tea was that we did not have to purchase it because herbs of various types were grown right among the vegetable gardens as well as anywhere else on the land that was suitable. These were used for medicinal purposes for every ailment you can think about. Preparation of this tea is basically steeping the leaves of the medicinal plants in boiling water. This is done by pouring boiling water on the leaves in a proper stainless container and allowed to steep for few minutes. It is usually served with mainly bread and butter, tough crackers and at times, with fried dumplings. This also includes boiling the roots of some herbs. It was believed that the frequent drinking of the tea would remedy any ailment that was present in the body, especially ailments such as cold and flu, fever as well as indigestion. Also it was deemed to rid the blood of all impurities and as our grandparents would say, it can cure anything. Not all of the teas were palatable. Some were very bitter because the teas were sourced from the bitter herbs, but they were consumed despite the unpleasant taste due to their medicinal properties and chemical substances that could heal every disease according to our fore parents. One of the bitter herbs frequently consumed was cerasee. Today, the name is not frequent on the tongues of the young Jamaicans. They prefer to call it herbal tea. However, it cannot be taken away from the elderly individuals in our society, who still refer to that term. Despite that fact however, the use of herbs is still primary for most people and it will be for a very long time, including the use of bush tea.